For a while now, I've been interested in learning how to make jewelry, but I didn't know quite where to begin. 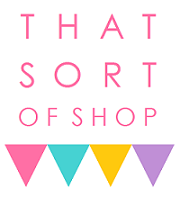 The jewelry making and beading section of my local craft store is fairly large and overwhelming, and the array of supplies available online is practically impossible for a beginner to sort through. While I understood some of the basic terminology and techniques associated with jewelry making, I didn't know enough to figure out what to get and how to put it all together. That's exactly French General: A Year of Jewelry taught me to do. This book was a Christmas gift from my mother, who knew I was looking for a guide to homemade jewelry, and it gave me all the information I needed to get started. Written by Kaari Meng, the founder of the French General crafting and lifestyle boutique in Los Angeles, A Year of Jewelry does just what the title suggests by providing month-by-month inspiration for a variety of projects. 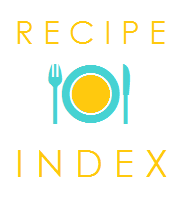 Each month is specifically themed to a French holiday or an aspect of French seasonal lifestyle, such as Valentine's Day for February or vacationing for August, and contains an introduction to the theme followed by supply lists and step-by-step instructions to make three different vintage-inspired jewelry items. Before the monthly projects begin, though, the book gives a detailed overview of standard jewelry making tools, findings, and techniques with illustrations and photographs. I found this part of the book an indispensable guide, as I was able to match up exactly which supplies I needed to buy with the pictures provided. It also walked me through the basic steps for making jewelry--such as cutting head pins and creating eye loops--in more detail than in the individual project instructions. So far I've completed my own take on the bracelet from January for Le Jour de l'An, or New Year's Day. Since it would be next to impossible to find the exact beads and charms shown in the picture, I found it especially helpful that each theme comes with an inspiration guide listing colors and motifs to look for. I was able to find equivalent items for just about everything except the cabochon stones, which for some reason are not available from my local A. C. Moore, Joann.com, or Amazon. Still, with the help of the inspiration guide I managed to make something similar in spirit to the original, scaled down a little to suit my own preference for more delicate jewelry pieces. 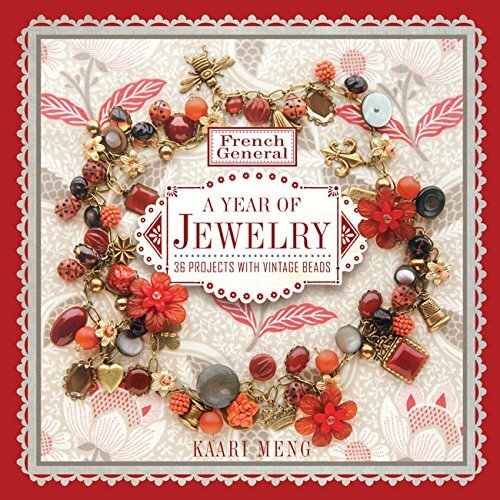 I highly recommend French General: A Year of Jewelry for beginner jewelry makers looking for a basic guide as well as beautiful project inspiration. The month-by-month structure makes it particularly easy to decide which projects to tackle first, and the instructions are easy to follow and easy to adapt. And if you're looking for the perfect charms and findings to mimic those used in the book, I also highly recommend Vintaj Natural Brass, a brand that makes pins, chains, clasps, charms, and more in an antique brass finish that's just right for these projects.